Been buying some bits and pieces over the past week, and a batch arrived today! First off, my http://www.dealextreme.com/ goodies (minus the main light which is on its way). I went for a 900 lumen torch type light that I'll be strapping to the helmet. It'll mostly be used for commuting but will be good for night rights too when used with the Hope Vision 4. Its got about 90 mins on full power so its plenty for the spin into work. And if it turns out to be as good as everyone says, I might go get myself a second. 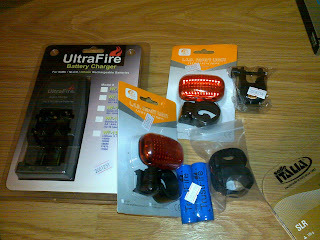 I also got a couple of rear lights. They were about 2 Euro each and take 2 AAA batteries. Not quite as bright as the Blackburn I have now, but about 20 Euro cheaper! Next are the Ashima AirRotors for the 2010 bike. 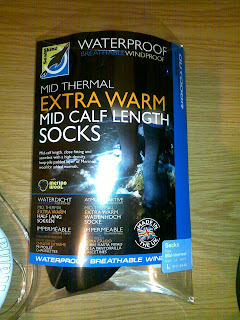 These got a good review recently, and in general I don't hear too many complaints. I had Gusset superlights last year, which were light, but bugger all stopping power. 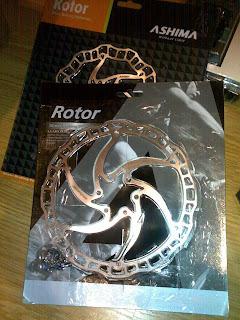 These look that bit better (ie, more metal for the pads to rub off of! ), so looking forward to trying them out with the XTR brakes. 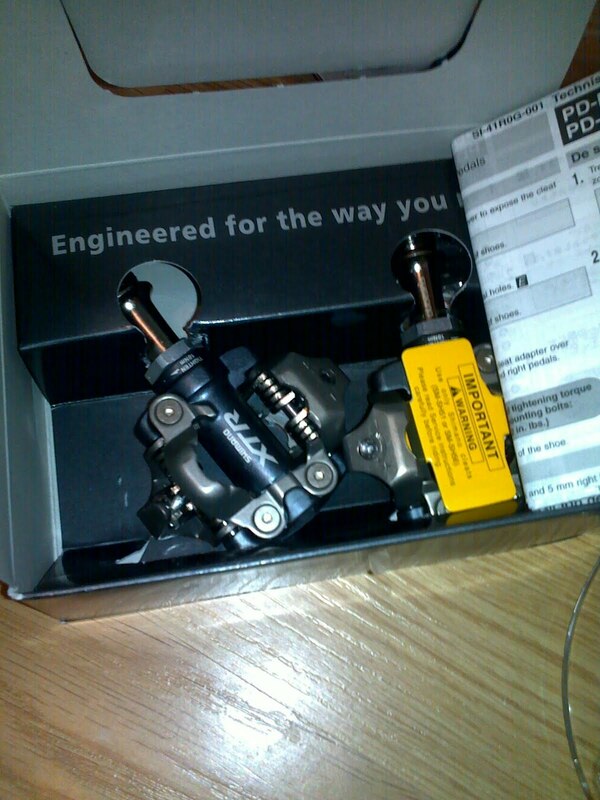 Next, XTR pedals. Yes, probably feck off performance difference between these and XT, but I like them. I had them on last years race bike and never had a problem. 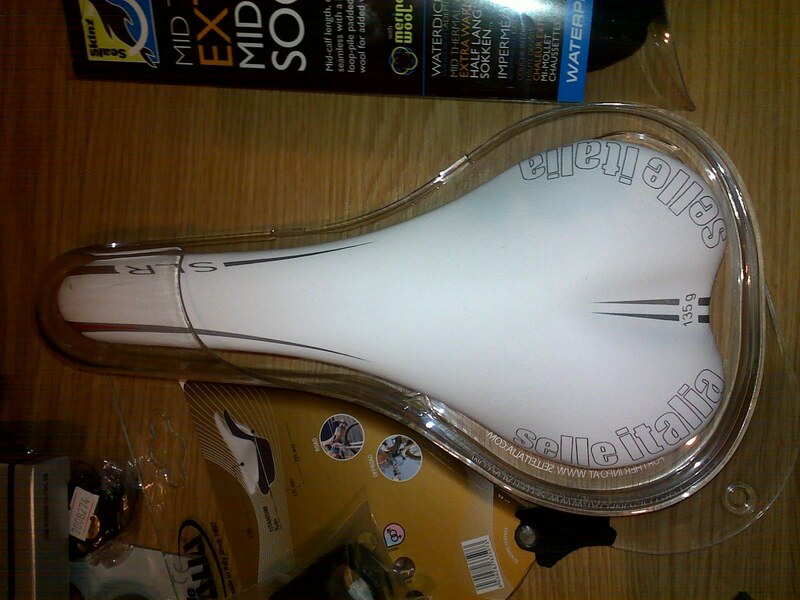 Another 2010 bike bit, Selle Italia SLR saddle. 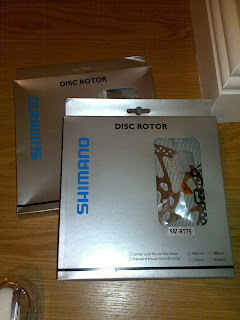 I had this on the Giant XTC also and thought it was the dogs - thats why I got the same model again. And they are about 30 Euro cheaper than last year too!